Please note the club will pay the course fees for those that undertake to do a season's coaching in return. Course Dates: Feb 18, 25, March 25 & April 8, 2018 at Richmond School, details below. All these dates MUST be attended. Time: 9.30 am – 4.00pm. If you would like to pay by cheque please tick the necessary box on the online form and the YCB will send an invoice. Emergency 1st Aid Certificate, Current DBS/CRB, 17 years of age to attend and 18 years of age to be certificated. NOTE: It is important to understand that applicants will need to complete supported practice sessions (totalling 3 hours) to achieve competence. 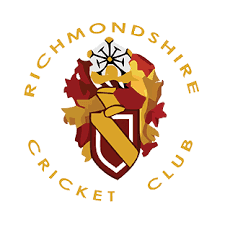 Also, there will be online activities which include a Safeguarding Young Cricketers course and a Multiple Choice Assessment test. Coaches who are going to Coach Children. They may be new coaches, existing UKCC1/ECB L1 or Children’s coaches. Coaches will be required to attend 8 x 3 Hour Modules, and complete six sessions of supported practice usually in your own Club Coaching environment.